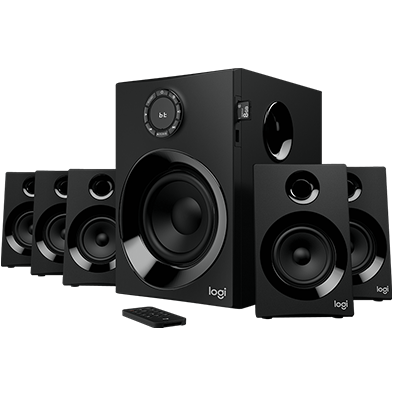 With 160 Watts Peak power on tap, this 5.1 speaker system wraps your space in high-quality audio that sounds amazing. Enjoy true surround sound from any source—your TV, phone, computer, and games1. 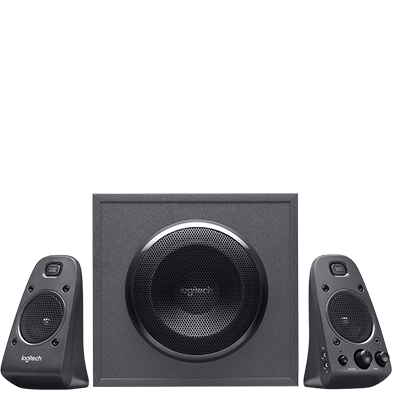 The 5.25” subwoofer driver pumps out bass you can feel, while the included remote and extra-long rear cables make it easy to set up and use. 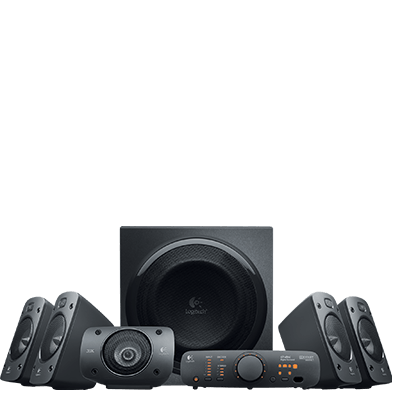 Surround yourself with audio from your favorite movies, music, and games with a 5.1 speaker system that includes left, right and center channels, two rear satellites, and one subwoofer. Enjoy powerful sound from every direction. The Z606 turns your stereo music into room-enveloping sound that lets you get the most out of your audio. 160 Watts Peak/80 Watts RMS system with a 5.25” bass driver fills your room with incredible sound. 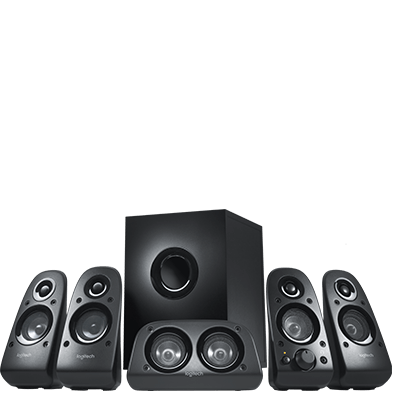 You’ll get sparkling clear highs (up to 20 Khz) and deep, powerful bass (as low as 50 Hz) with a speaker system made for audio lovers. The powerful Z606 wide soundstage makes sure you and your guests always have a perfect seat to hear it all. 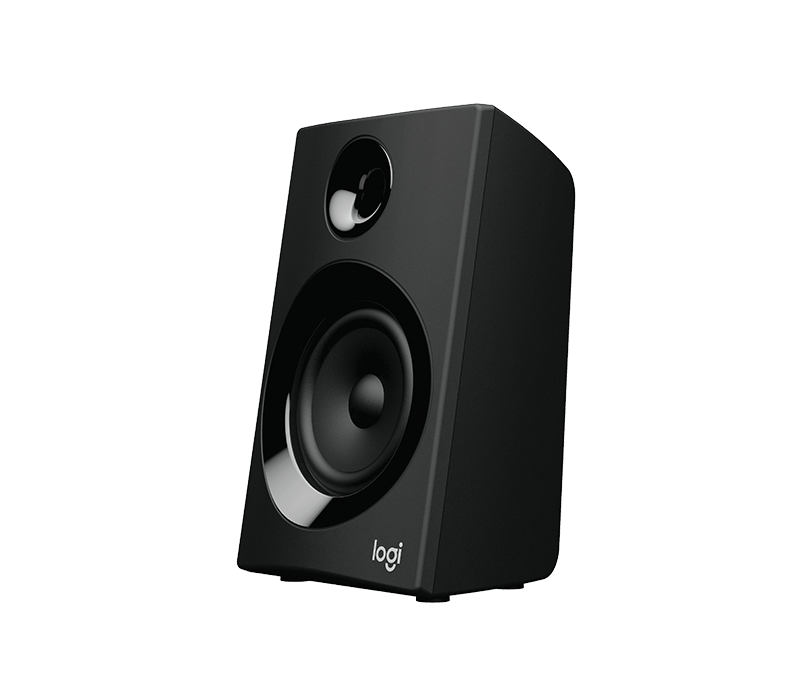 You won’t need to rearrange your room to set up and enjoy great audio anymore. Listen to audio from computers, phones, tablets, TVs, Blu-ray / DVD players—almost any source. You can connect wirelessly via Bluetooth or physically using a 3.5mm audio jack or RCA cable to hear games, music, movies, everything. 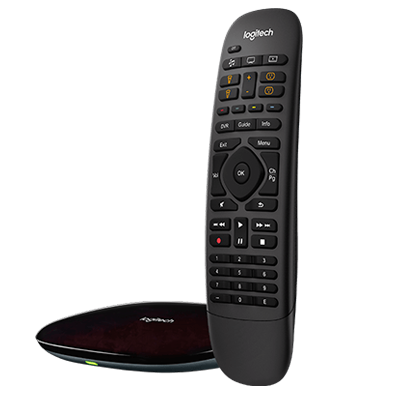 Enjoy high quality audio with minimal compression, and the ease of use provided by Bluetooth® 4.2. With support for Bluetooth 4.2, you’ll get great wireless sound quality and a reliable connection that transfers data 2.5-times faster than Bluetooth 4.1. Stream wirelessly from connected devices up to 15m away (within line-of-sight). 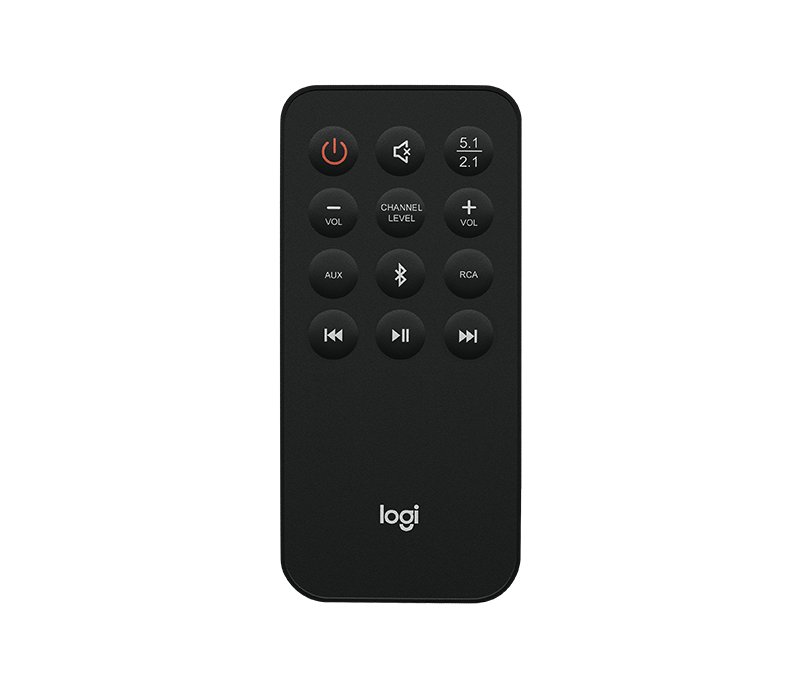 Control your sound from anywhere in the room (up to 10m) with the compact remote. 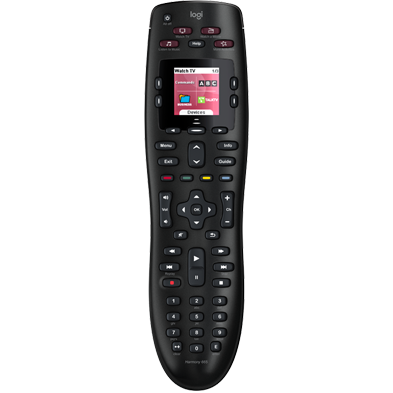 Play, pause, and skip songs, control volume, select input and more. 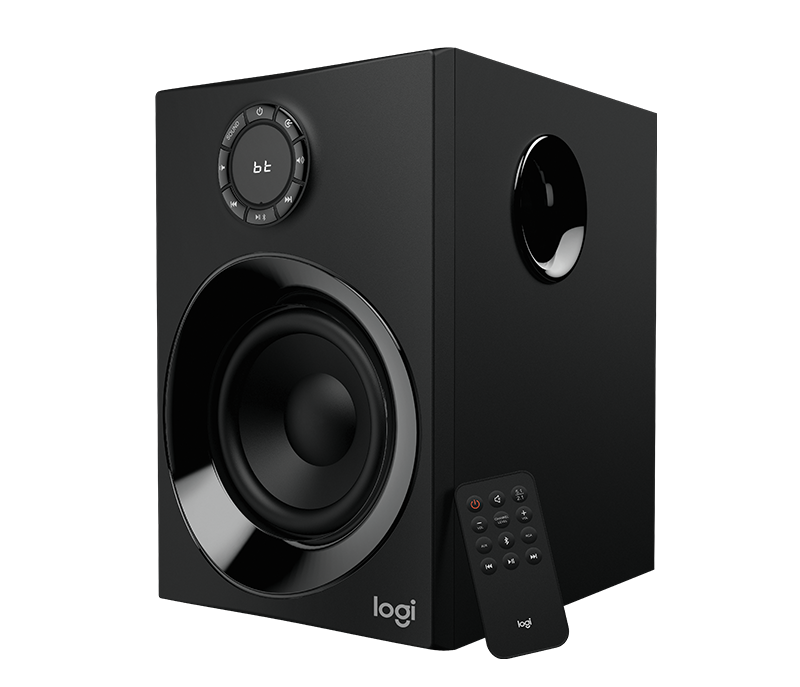 There are also audio controls located right on the front panel of the subwoofer, with an LED displaying the current source input and volume. Feel the beat of the music and the rumble of movies and games with a subwoofer that delivers deep bass throughout your space. The 5.25” bass driver with 50 Watts Peak Power / 25 Watts RMS pumps out punchy bass, with an extra low frequency extension added by a ported enclosure. You’ll hear it all with an extra-wide frequency range. 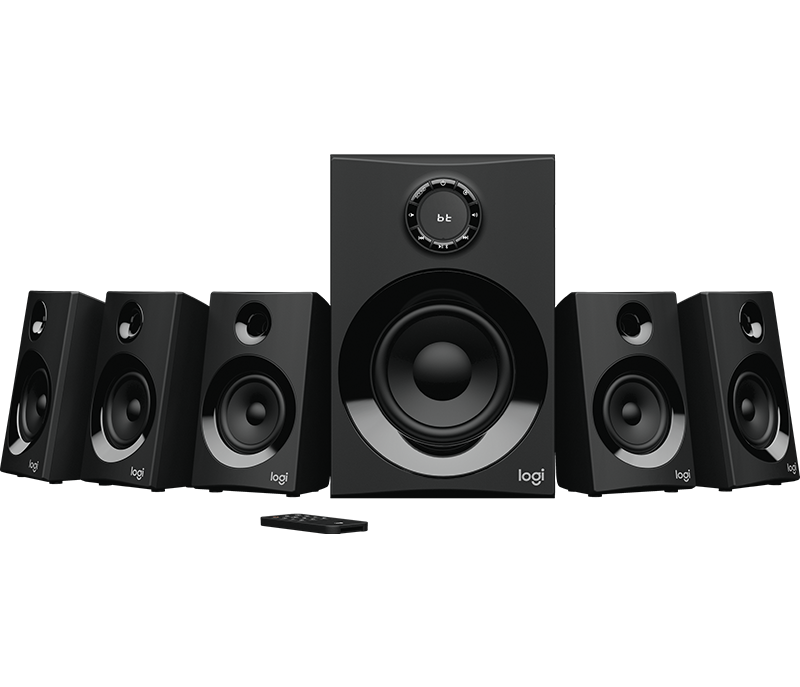 The satellite speakers feature a bass reflex design that provides bass extension through expertly tuned port tubes. 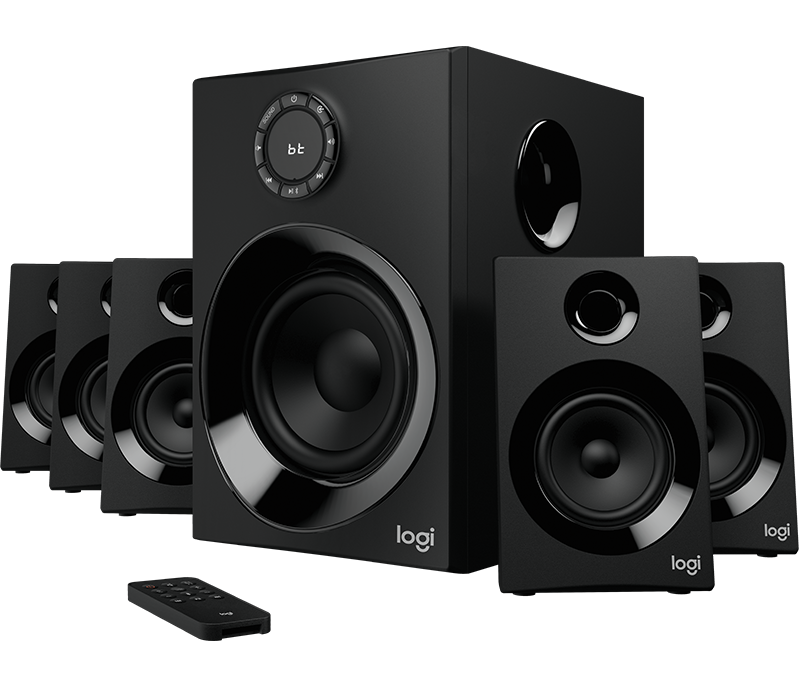 The drivers provide clarity and high-frequency audio detail that makes you feel like you're at the center of the sound — whether it's a concert recording, a movie, or your favorite video game.